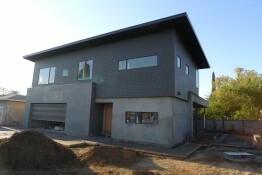 The Indie House exterior is painted charcoal and accented by ebony eaves. Combined with the galvanized steel, the look is sleek and subtle. It blends with its surroundings, a mix of quiet residential and city bustle just off Broadway near the Light Rail tracks in Sacramento. Here are a few photos showing details of this phase of construction. 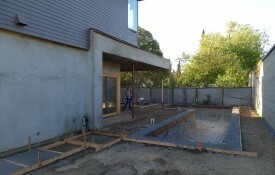 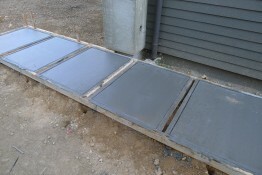 The driveway and walkways are a rich shade of gray from a dash of Lamp Black added to the concrete. 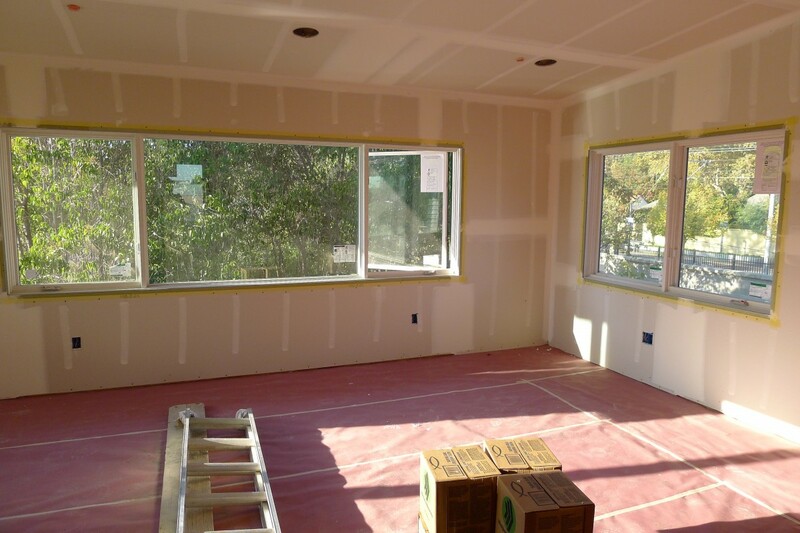 We anticipate a touch of white to come on the exterior plaster. 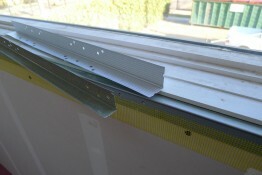 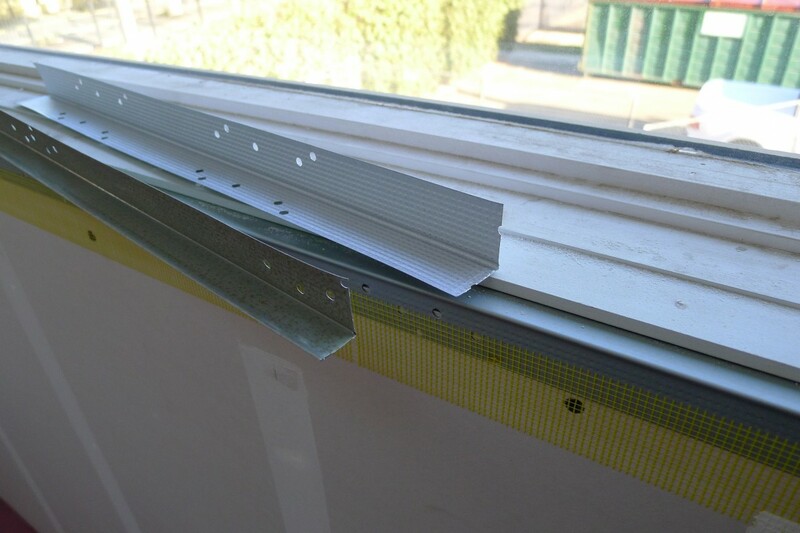 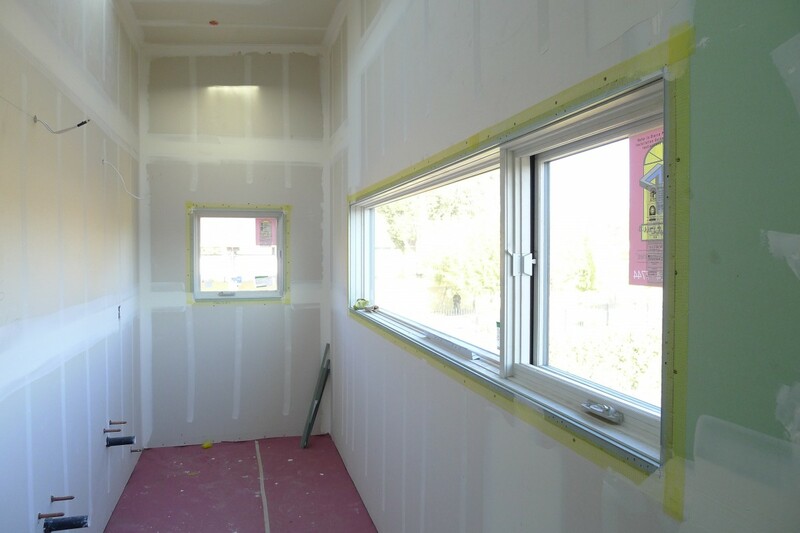 Corner-metal and J-metal trim pieces allow clean transitions on wall corners and between the drywall and window frames. 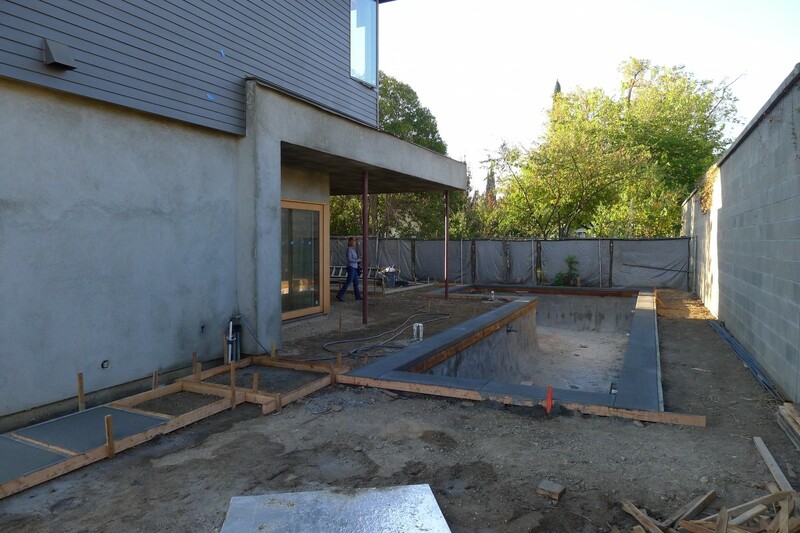 Overseeing construction of Henry + Associates’ design is Nathan Cunningham of Indie Capital, who owns the property along with Erica Cunningham. 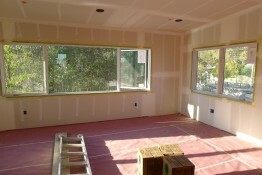 The family plans to move in by Christmas!